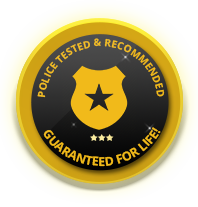 Police Tested & Recommended * Guaranteed For LIFE! Add $59.00 to your order to receive free shipping! Preferred For Fannie Mae Vendors! We created the Fannie Bundle in response to vendor requests. This bundle contains the quantities that should allow Fannie Mae vendors to service homes as required by Institutional guidelines. 1 (one) Door Armor Max Combo Set (SET-EZA-20000) This door frame reinforcement kit comes complete with 1 Door Armor Jamb Shield, 2 Mini Door Shields and 2 Hinge Shields. Installation time: about 30 minutes. 3 (three) Door Armor MINI Combo Sets (MFC-EZA-20000) These door frame reinforcement kits come complete with 1 Door Armor Jamb Shield, 2 Mini Door Shields (no Hinge Shields). Installation time: about 20 minutes.All Door Armor products are backed by the legendary Door Armor Lifetime Warranty against kick-ins. With more than 250,000 doors secured, nothing else comes close. Note: The quantities below are for sets of 4. A quantity of 2 is for 8 total kits, etc. Several Institutions and banks have begun mandating or allowing the use of Door Armor in certain situations. The Door Armor Whole House Bundle was created to make it easier for vendors to satisfy this criterion. Criteria (summary): Install Door Armor Max to secure any door (or door frame) that has been replaced or repaired and use Door Armor Mini to secure any other door on the attached structure. The Door Armor MAX Combo comes with (1) Door Armor Jamb Shield, (2) Hinge Shields and (2) Mini Door Shields. The Door Armor Jamb Shield is a 46" long piece that attaches to the lock side of the door jamb. The Jamb Shield is cut with knock-out holes that are designed to fit locks spaced from 4.5" to 21.5" apart. The Door Armor Hinge Shields are L-Shaped pieces that install over the existing hinges so you will never have to alter or remove your door for installation. The Door Armor MINI Combo comes with (1) Door Armor Jamb Shield, and (2) Mini Door Shields. The Door Armor Jamb Shield is a 46" long piece that attaches to the lock side of the door jamb. The Jamb Shield is cut with knock-out holes that are designed to fit locks spaced from 4.5" to 21.5" apart. You will never have to alter or remove your door for installation. Door Armor is made of galvanized steel. While galvanized steel is considerably more expensive than cold rolled steel, it has much better resistance to rusting. In addition, our heat-sealed powder coating process insures that Door Armor will look great for years to come. Door Armor can also be used to repair the damage from an existing kick-in. A home that has been burglarized is 4X more likely to be burglarized again. The Door Armor Max Combo Set will help make sure that the bad guys don't get in a second time. The Legendary Door Armor $500 Lifetime Warranty guarantees that if your door is ever kicked-in (after properly installing Door Armor MAX Combo Set), we will replace the product for free and pay ($500 for MAX, $300 for MINI) towards your insurance deductible. Not only does the Door Armor MAX Combo Set provide is ultimate door security, it can be installed by just about anyone in under 30 minutes. The Door Armor has been tested and validated by independent sources. What Comes in the Door Armor Fannie Bundle?